The annual Santa Fe Trail Day is sponsored by Las Animas High School. It features student competitions in square dancing, pioneer-style dress making and costumes, essays on local history, and a community parade. Bent County (population 6,000) was formed in 1870 and Las Animas was platted in 1873, becoming the center of business and the county seat by 1875. Beginning in Boggsville in 1866, farming and ranching enterprises have been and remain the largest sources of employments and products. 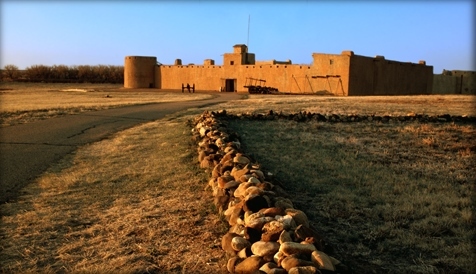 Fort Lyon, which began in 1867 as a military base and later served as a military hospital, a veterans’ hospital, and now a state-owned correctional facility, has been an important to the development of the local economy as well. Today half of the county population lives in Las Animas. Bent County Commissioners have adopted an historic preservation ordinance, granting the Las Animas Urban Renewal Authority the power to designated historic properties within the downtown area. Together with the Pioneer Historical Society of Bent County, two proposed historic districts have been surveyed, including the downtown and courthouse areas of Las Animas, with a plan to generate National Register nominations for significant properties. The Society has worked to develop interest in the creation of a museum in the 1912 County Jail, associated with Ken Curtis (Festus in Gunsmoke), who lived in the jail as a youth. The Society is also spearheading the rehabilitation of the 1898 Odd Fellows Lodge, a central landmark in the business district, to become the John W. Rawling Museum. When completed in 2009, it will house artifacts from the Kit Carson Museum (currently housed in a 1940s German POW barracks), educate the public about local history, and serve as an art gallery and event venue. As an attraction for visitors traveling on Highway 50, the Museum will also add business for local eateries and shops. The hope is that preserving this historic building will be an incentive for others to improve businesses and generate more economic activity in this main downtown crossroads. 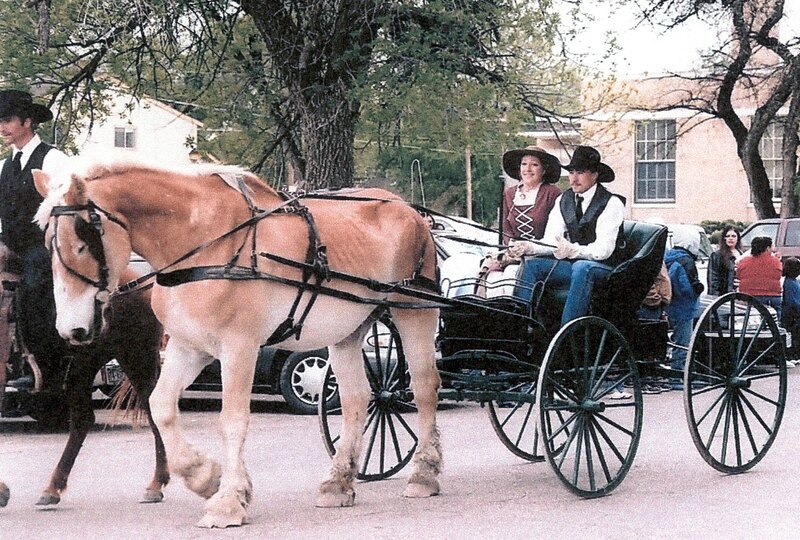 Las Animas High School sponsors the annual Santa Fe Trail Day, with student competitions in square dancing, pioneer-style dress making and costumes, and essays on local history. Students organize a community parade. Santa Fe Trail Day is the longest running student sponsored event in the State. Bent County supports the Historical Society, which actively promotes restoration activities and educational programs at the Boggsville Historic Site, by providing designated funding generated by sales and use taxes. This site is located on the Purgatoire River, where Boggsville flourished from 1863-1873, when the town was bypassed by the railroad. Since 1985, the Boggsville Historic site has seen extensive archaeological investigations, and restoration the 1865 Boggs House and 1866 Prowers House. Supervised field excavations and field schools take place each summer. The year 2006 marked the 100th anniversary of Zebulon Pike’s expedition to Colorado, and was observed with a tour of his “first view” site east of Las Animas, a presentation, and a living history interpreter. A second event, co-sponsored with the Bent’s Fort Chapter of the Santa Fe Trail Association, the Boy Scouts, the Lion’s Club, the Corps of Engineers and the county, included a caravan, plaque dedication ceremony, and re-enactors. Using the anniversary as a marketing tool, Boggsville was able to win selection as a “site of the week” on the Denver NBC television affiliate as part of an “Explore Colorado” series. These joint promotional events of the County and the Pioneer Historical Society brought in over 750 visitors in the summer of 2006 in addition to those attending special events. Increased interest in the heritage of Bent County is bringing new people from around the region and the country to enjoy a look into the past.